Edinburgh, UK, 16th November 2018 / Synpromics, the leader in gene control, is delighted to announce that it has been ranked 12th in the Deloitte ‘UK Technology Fast 50’ at the annual awards ceremony in London last night. The Deloitte Technology Fast 50 is one of the UK's foremost technology award programmes. It is a ranking of the country's 50 fastest growing technology companies, based on revenue growth over the last four years. Now in its 21st successful year, it celebrates innovation and entrepreneurship. Over the last three years Synpromics’ revenue has increased by over 2400%, with an accumulated deal value of over £300 million. This growth has been accompanied by a move to expanded facilities to accommodate additional staff and the opening of business development activities in the US. The Deloitte Fast 50 recognises this sustained growth and the ongoing development of Synpromics’ proprietary synthetic promoter technology. This accolade follows the recent announcement of positive pre-clinical data from uniQure, a key partner, using a liver-selective promoter developed by Synpromics. The data demonstrates that the promoter is at least eight times more potent than the current industry standard. Synpromics is the leader in gene control, improving human health by enabling safer, more effective cell and gene medicines through proprietary genomics, bioinformatics and intelligent data-driven design. The Company has developed PromPT®, its multi-dimensional bioinformatics database that enables product-specific promoter design and selection empowering the next generation of cell and gene based medicines and bioprocessing applications. The company operates in a diverse range of fields, including broad applications in cell and gene based medicine, biologics manufacturing and viral vector bioprocessing. Current partners include Audentes, Biomarin, uniQure, AGTC, Solid Biosciences, Homology Medicines Inc, Adverum Biotechnologies, GE Healthcare and Sartorius-Stedim Cellca, as well as numerous undisclosed partners in the pharmaceutical sector. Naturally occurring promoters have evolved for biological functions but have limitations when utilised in industrial or therapeutic applications. Synthetic promoters with DNA sequences not found in nature are designed to better regulate gene activity and precisely control protein production. Synpromics creates highly specific promoters designed to drive gene expression at the desired level and specificity in any cell type, tissue or environmental condition. Each synthetic promoter represents a novel invention and thus can be patented. In this press release references to “Deloitte” are references to one or more of Deloitte Touche Tohmatsu Limited (“DTTL”) a UK private company limited by guarantee, and itsnetwork of member firms, each of which is a legally separate and independent entity. Please see deloitte.com/about for a detailed description of the legal structure of DTTL and its member firms. 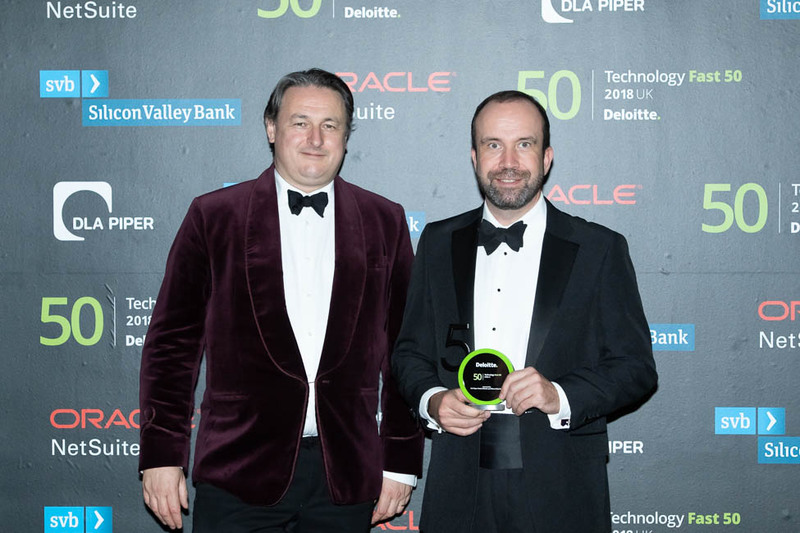 The Deloitte UK Technology Fast 50 is one of the UK’s foremost technology award programmes. Now in its twentieth year, it is a ranking of the country’s 50 fastest-growing technology companies, based on financial performance over the last four years. The UK Fast 50 awards are all about growth driven by leading intellectual property and are a celebration of innovation and entrepreneurship. The UK Technology Fast 50 is part of an international programme run by Deloitte and qualifying entrants of the UK Fast 50 will be put forward to the Deloitte Technology Fast 500 EMEA (Europe, Middle East and Africa) programme. Previous winners have come from across the UK, are both large and small, and included some of the most dynamic players in all areas of technology, from internet specialists to biotech, digital media technology to life sciences, computers to semiconductors and software to telecommunications.